The Carl Cox Megastructure is known to Ultra Music Festival fans worldwide as hallowed ground. Serving as the legend’s home-base for his Carl Cox & Friends concept, the stage and structure has grown steadily and evolved over the past thirteen consecutive years to become one of the festival’s most revered and anticipated stages. Now, the Carl Cox Megastructure will see another bold evolution when RESISTANCE champions in a new era, teaming up with Carl for the brand’s megastructure debut. For those that may have missed the news, Carl Cox was announced as the concept’s global ambassador back in Feb of 2016. In this role, Carl will host many RESISTANCE stages across Ultra Worldwide’s global festivals, and work directly with Russell Faibisch, (Co-Founder, CEO, President, Chairman and Executive Producer of Ultra Music Festival and Ultra Worldwide) to curate both talent and production for the brand. 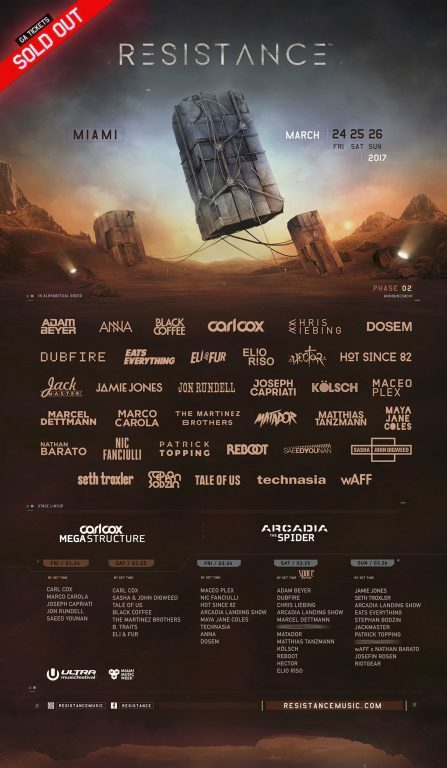 The debut of RESISTANCE in the megastructure (March 24 & 25) boasts one of Ultra Music Festival’s diverse lineups ever, including the return of Sasha and Digweed, who have not performed together as a duo (in the US) since 2010. In addition to Sasha and Digweed, Carl will be joined by; Black Coffee, Joseph Capriati, Marco Carola, The Martinez Brothers, and Tale of Us, among others. Support comes from B. Traits, Eli & Fur, Jon Rundell and Saeed Younan. In its short life, RESISTANCE has already proven itself to be a beast of musical and theatrical proportions, drawing in fans with what can only be described as full-on sensory immersion and abduction. It captivates, stimulates and intoxicates both body and mind to deliver a new reality to anyone willing to receive. It’s sci-fi meets cirque du soleil with a soul forged entirely of earth, fire and techno. Forget what you think you know and just let go. This is what a festival experience is all about. 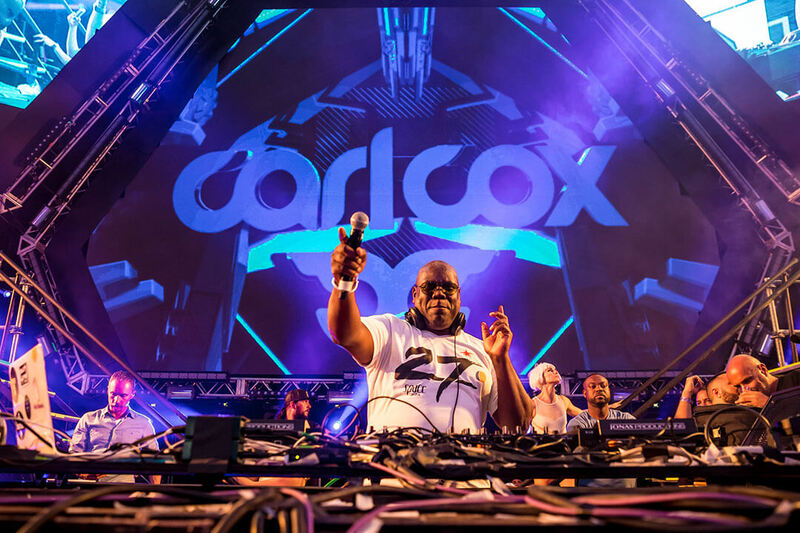 Carl Cox performs on the RESISTANCE stage inside the Carl Cox Megastructure on Friday, March 24 and Saturday, March 25.